How do men learn to be godly men? They learn from other men. The modern American man lacks other men willing to mentor them. In the ministry I do with homeless men, the number one cause of recidivism is the lack of a mentor. The men who work through the discipleship program get back on their feet only to find that after they leave the shelter they are left to fend for themselves due to a lack of an experienced male willing to share his experience and values with other men. “Give a man a fish and you feed him for a day…. 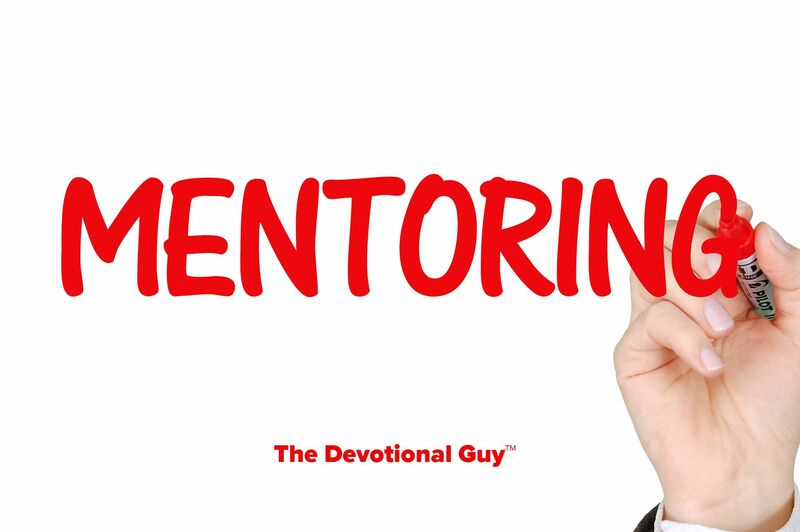 In the Bible, we see numerous examples of men mentoring other men. Jethro and Moses; Moses and Joshua; Elijah and Elisha, and Paul and Timothy. These are just a few of the rich examples Scripture provides us demonstrating the importance of this relationship. Mentoring means walking the road together, through thick and thin. As believers, we are sharing our Christian experience and values with other men to help them live out a life pleasing to God. But we aren’t perfect. Mentoring isn’t just celebrating the mountaintop moments. It also means walking alongside our brothers as they navigate difficult seasons and dry desert valleys. Through this on-going relationship, we establish our faith, witness spiritual growth, and express the love of Jesus. Men need other men to pray with them, examine Scripture together, and share in other life moments. As believers, we don’t need to restrict our mentoring to fellow believers. We should be willing to mentor those who may not believe as we do. After all, mentoring demonstrates our willingness to help another individual grow. When we do this, we invest in them. We put something in their bucket. Maybe then they might be more open to learning about what we believe or have an increased desire to know the love of Jesus we know. In any event, God is glorified when we demonstrate our love for others by attempting to help them grow into the person the Lord intended them to be. And yes, women should mentor women as well. This is how the body of Christ grows. This is how we live a life of prayer and action. Are you investing in someone else’s life? Do you have someone willing to pour into you?